Riga, the capital and largest city of Latvia is a great city escape. Latvia is the largest country out of three Baltic countries. The city is easily walkable in its UNESCO historic center, known for its mesmerizing Art Nouveau architecture and 19th century wooden buildings. Like another northern countries, the city is very quite and reserved. However, it doesn't mean that you won't be able to find some vibrant bars and restaurants around the old city. Day 1 For a breakfast, walk to MiiT Coffee for some great coffee and vegetarian meal options. After some healthy food, start your Riga exploration by walking towards the Park Esplanade. You'll come towards the beautiful Riga Nativity of Christ cathedral at the edge of the park. This Neo-Byzantine style of monument is the largest orthodox cathedral in the Baltic countries. From here, you can walk outside of the park on the Elizabeth street, as you may notice some beautifully decorate buildings around this street. At the other end of the park, you'll come to the National Museum of Art. If you have time, you may visit this large museum complex. Otherwise, continue your walking journey towards discovering Art Nouveau architecture on Albert street. The whole street and its surrounding have some stunning buildings. Those buildings were influenced by decorative arts that has been popular between 1890 and 1910. If you are interested more about this style of art and architecture, the Riga Art Nouveau museum is just located at the end of the Albert street. Once you finished scrolling around the beautiful streets, walk towards the Kronvalda Park. The large public park is well maintained and great for a walk and relaxing. Through the park, you may notice various of statues, small Chinese arch or a Freedom monument at the almost other end of the park. This Freedom Monument is to honour soldiers killed during the Latvian War of Independence. From Freedom Monument "square" it is now a short walk to the old city. You may be hungry by now, after so much of walking. Hence, let's walk to Lido in a city center for lunch. Lido is a chain of a Latvian restaurants around the city and it is a self-catering style, with great selection and great prices. After lunch, it is time to explore the historic city centre of Riga. The best view to get to the city is up on St. Peter's Church. Easily accessible by a lift, the small rooftop area will allow you to have 360 degree view on the old city and beyond the river. After the visit of the church, House of the Blackheads is just around the corner. Take a walk around the streets and squares around and mesmerize the architecture around. Other points of interested around the historic city, or so called Vecriga district, you should visit are Three Brothers, Riga Cathedral, Cat Tower, Powder Tower, Swedish gate or a Small Guild. Finish off your long day seeing the city by having a drink in Skyline Bar at the top of Radisson Blu hotel. Overlooking the stunning city and waiting to sun go down to end up day 1 in Riga. On a second day, we head to Innocent Cafe for a brunch. By brunch in Latvia, it means unlimited food! We paid for a coffee and 9 euros for a brunch and had unlimited food from eggs, traditional Latvian meals, salads, toasts to waffles. You name it. After long and heavy brunch, we finally stood up and head to the Central Market, located just next to the train station. This huge complex of building offers typical and unusual products. From food, vegetables and fruits, meat, homeware, clothing, flowers to souvenirs. It is a huge vibrant market, and even though it offers variety of stuff, it is nicely sectioned to easily navigate around. After the visit to the market, we have bought snacks in a nearby supermarket and head to the train station to purchase two ways tickets to Jurmala. Jurmala is a resort city located half an hour from Riga. The long sandy beach stretches all the way on the Gulf of Riga. The best way to get off is at Majori, from here it is just few steps away from the sea and the beach. Enjoy the beach life for a moment and soaked up some energy by stopping by for some food or drinks at Juras iela. In addition, if you got some time, try to walk a bit around Majori and see some traditional wooden houses around and get some feel of Latvian town. We have spent at Jurmala for about half a day, returning back to Riga early evening. After getting back to Riga, we walked across the river through Akmens Tilts bridge, overlooking the old city of Riga through other end of a Daugava river. On the right side of the bridge on other bankside, walk to AB Dam. An artificially build island attached to the mainland, was rebuilt to serve as a location for concerts, festivals and community activities. The walk around the river will give you some great magical city scape views and reflection on the water. AB Dam is also popular by runners and couples. It is very quiet place, great for a picnic, chilling with a view and a spot to end up your Riga weekend. Before heading back to your accommodation to either pack or get some rest before your flight, make sure to walk through the city center one more time. Latvian food is influenced by other Baltic countries and is very farm based. Thus from anything like meat, potatoes to radish. If you are foodie, make sure to do some research prior to know what you looking for. Moreover, already mentioned it in here once, but will repeat. Brunches in Riga means unlimited food! During our stay, we stated in a cozy Airbnb flat which was easily walkable to anywhere we needed. We didn't actually used the public transport at all, which was great. If you are looking for accommodations on Airbnb, sign up using my Airbnb link and get £13 of travel credits! Additionally, if you prefer hotels, book your stay through my Booking.com link to get travel credits too! 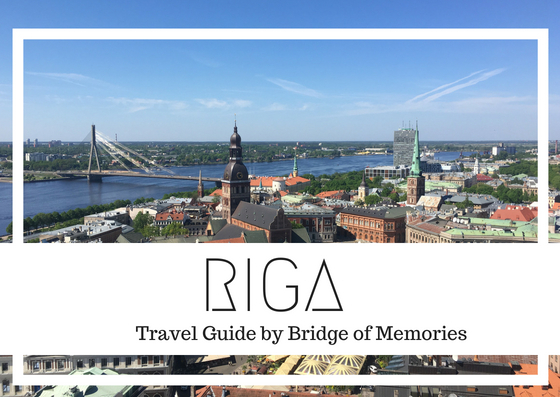 Riga is a short drive or just half an hour train journey to a sea resort of Jurmala. The stunning white-sand beach is a definitely place to go out of a city and relax. The one way ticket to Jurmala funny enough, cost only 1.40 euros!